Hello Dealsnloot Readers,Everyone knows Hotstar app and mostly everyone have in mobile right now because we use hotstar app to watch Every Live Cricket Matches Brodcasted In India and hotstar gives Free Facilities to watch it without any charges. 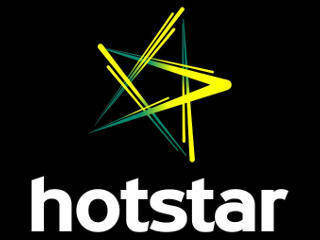 Hotstar is an online video streaming platform which currently offers over 50,000 hours of TV content and movies across 8 languages, and every major sport covered live. Recently they have started a premium account service where you can watch your favorite and latest American TV shows & movies, exclusively on Hotstar. Now this premium membership will cost you a minimal amount of 199 Indian Rupees but here we are sharing a method to test this service free for 1 month without paying.So Hurry !!! Grab This Loot Premium App. Get full access to the latest English shows & movies. Premium shows & movies will not play on mobile browsers. Download the Hotstar app! Watch in HD on phones, tablets and computers. This membership is currently available only in India. 2) Now You will see “Start Your Free Month“, Click on it. 3) Now enter your Email address & Password then Click on Sign up to Create your New account on Hotstar. 4) On next page, They will ask you to enter the details of your Credit Card. So Don’t worry if you don’t have the Credit card. You can use your Freecharge Virtual Credit Card. 5) Freecharge GoMaster Virtual Credit Card is currently working in Hotstar Premium Subscription. 6) Visit on Freecharge & Note down Freecharge GoMaster Card (Virtual Credit Card) Details. Note: Keep Your Freecharge Balance Min. Rs.5. They will charge Rs.5. It’s Refundable so Don’t Worry. You can add money using your Debit Card. 7) Now Enter Freecharge Virtual Credit Card Details on Hotstar payment page -Step 4. 8) Now tick on Terms & Conditions and Click on Start Membership. 9) Now you will receive One Time Password on Your Freecharge Registered Number. 10). Enter OTP on next page & Click on Submit. 12). That’s it!! Congratulations, Your One Month Premium Account of Hotstar is now Activated. 13). Now after One Month, Repeat above steps again & again with a new email address to get the unlimited subscription. 2. As in Said Step-5 Just put Freecharge Virtual Credit card Details and Name and Every Thing. ** Make sure You have at least 5-10 Rs. In Freecharge Wallet,because they will charge some amount which is refundable. 3. At last Click on “Start Membership” and Thats It. 5. Next month again follow above given steps to Use Service unlimited. Here is Some details Of hotstar Premium Account. Your premium membership starts immediately. You will be charged ₹199 per month after your free trial. A token amount may be charged to verify your credit card details. This amount will be refunded to you. We support only credit cards right now. Debit cards coming soon! No commitments, cancel online anytime.